When he made inquiries why his farm labourers had not turned up for work, Prem Singh discovered that a young boy of his own family had stopped them from coming to work. The boy wanted the labourers' daily wages doubled and was trying to unite them against 'grave injustice'. Hamare hi khilaph chup chap mazdooron ki hadtal karwa dali thi usne. The boy was scolded and put under 'house arrest'. The young 'leader' was Shivraj Singh Chouhan (just ten years old then) who registered a hat trick in December 2013 by becoming chief minister of Madhya Pradesh for the third time in a row. The son of a small farmer from Jait, 50km off Bhopal is credited with plucking off the deplorable BIMARU tag attached to the State and putting it on the path of development. 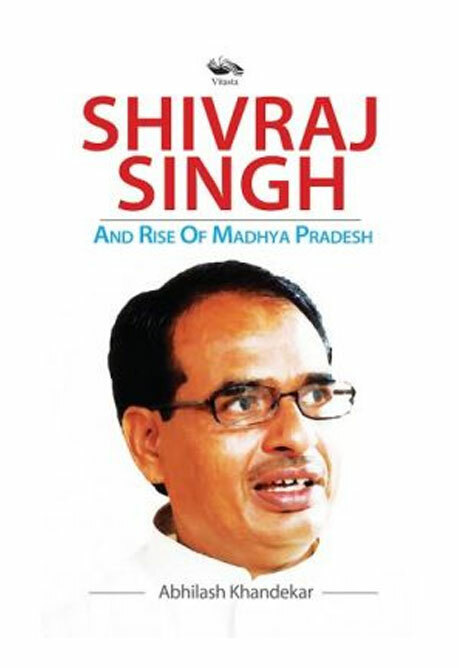 Considering his modest background and humble profile, not many had expected before 2005 that young and dynamic Shivraj Singh could lead MP to a historic success — politically and socially. Shy and reticent, particularly in interacting with the media, Shivraj Singh, however, comes across as a person with innate warmth. He is the hero of the state's agro-growth that brought MP into the national reckoning for the second consecutive year. He has concentrated on social welfare as also on infrastructure development and wealth creation across the State. His first ever biography in English, woven with the contemporary political history of his state, is a compelling read for a discerning reader who wishes to see India take giant development strides, the way MP has over the last few years with its unique experiments in governance. Abhilash Khandekar, an eminent journalist of Madhya Pradesh, began his career as a sports journalist with Free Press Journal in Indore in the early 1980s. Born in Mumbai, he studied in Indore and Pune and likes to be called a Madhya Pradeshi. With an MA in Political Science and M.Com, Khandekar has 30 years of experience in English, Hindi and Marathi journalism. He has worked with, among others, The Hindustan Times, and Daily News Analysis. Currently, he is working as editor of Hindi Dainik Bhaskar in Bhopal. He has successfully launched seven Marathi editions of the Dainik Bhaskar Group. He is also the editorial head of Maharashtra's Dainik Divya Marathi, first launched in 2011 from Aurangabad.